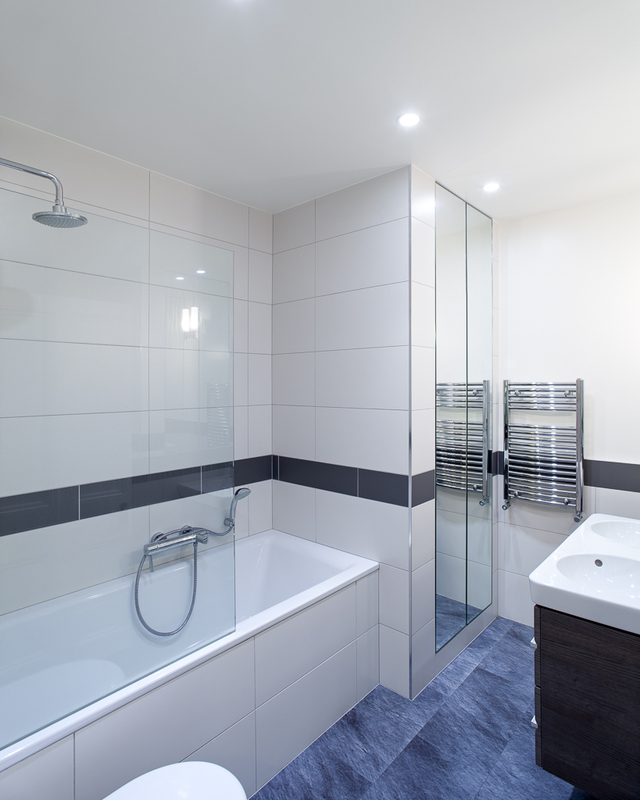 We were asked to remodel this apartment in Kensington to remove an overly complicated corridor arrangement and improve the bathroom provisions. 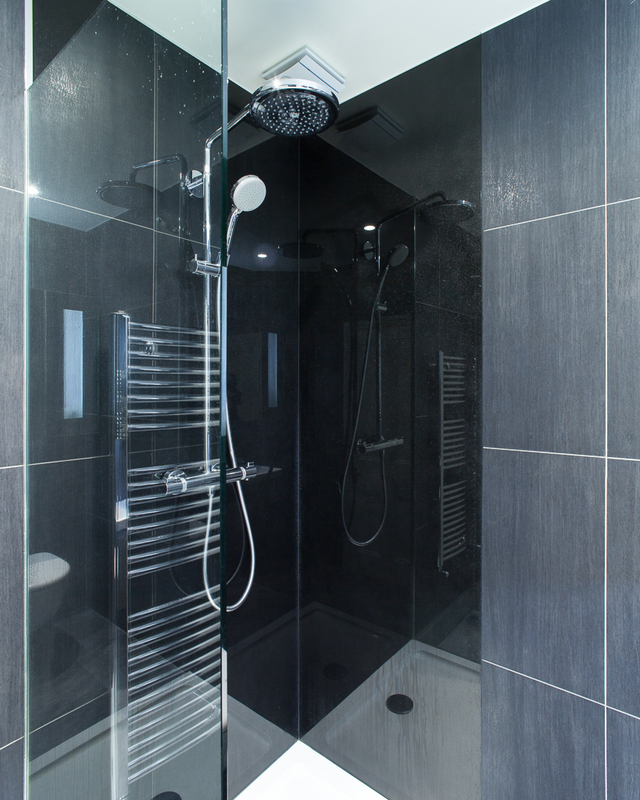 By co-opting part of the corridor space into the existing WC we were able to create a family bathroom, enabling the small bathroom to be converted into a generous shower room. 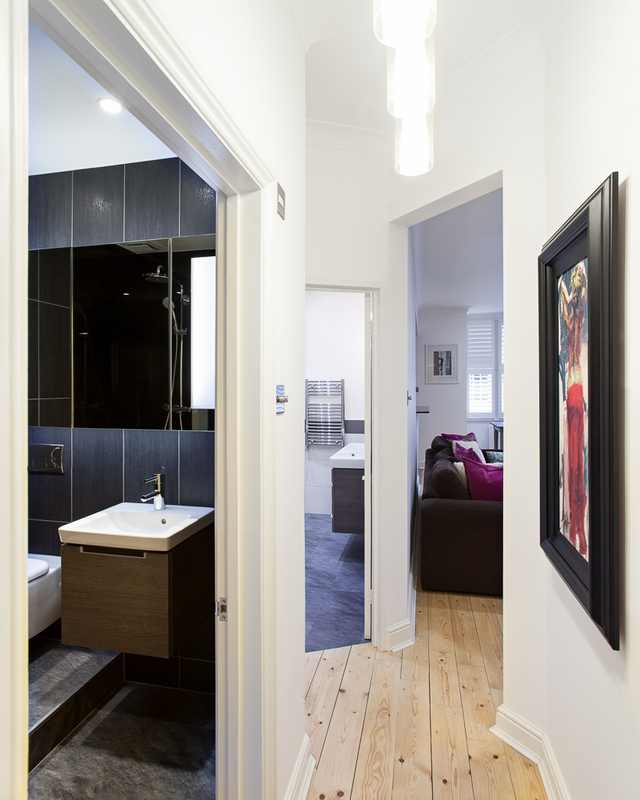 A new structural opening from the living room space into the hallway links the entrance with the back of the apartment and helps create clarity in the spatial arrangement. 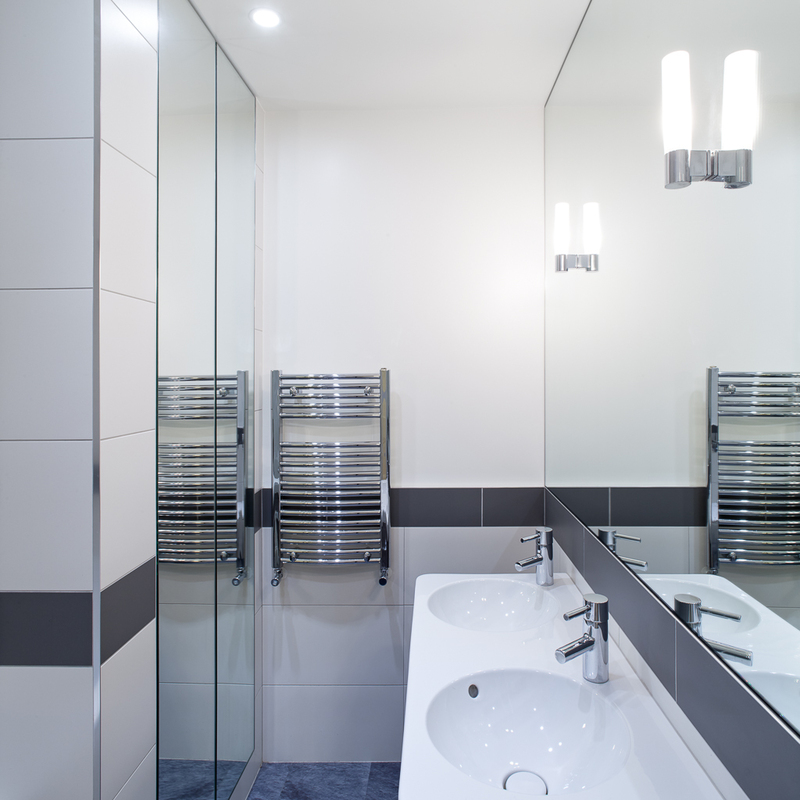 The building works were completed by Brick Chameleon. 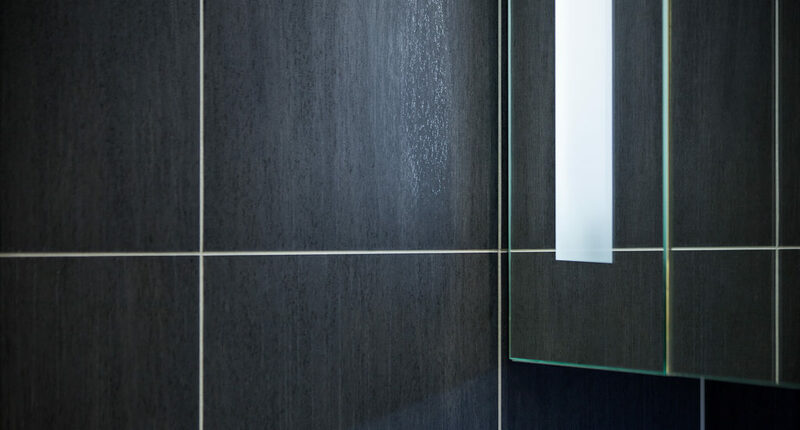 Dark tiling and enamelled back glass from Deco Glaze create a subdued feel in the shower room, enlivened by subtle mica flecks in the glass and a slight metallic finish to the tiles. 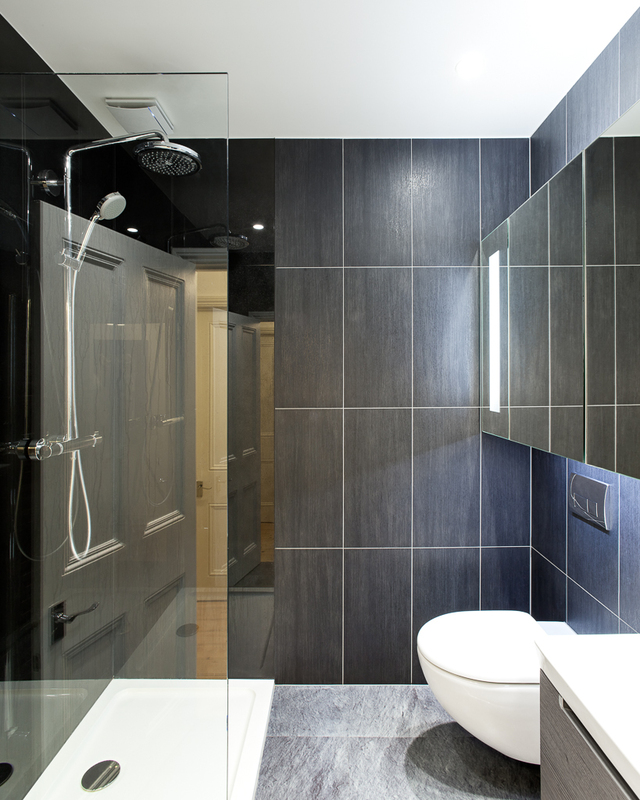 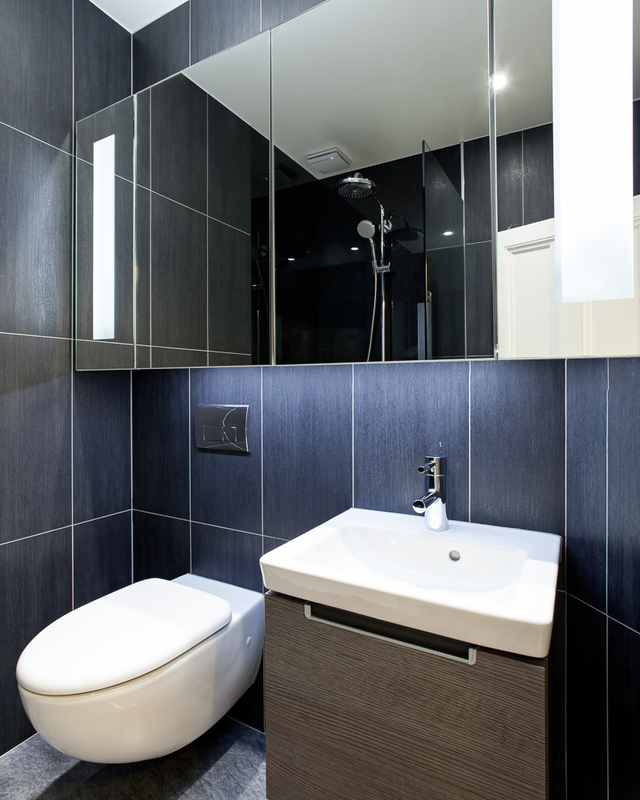 By contrast the family bathroom is bright and cool with a simple band of charcoal tiles to define the space. 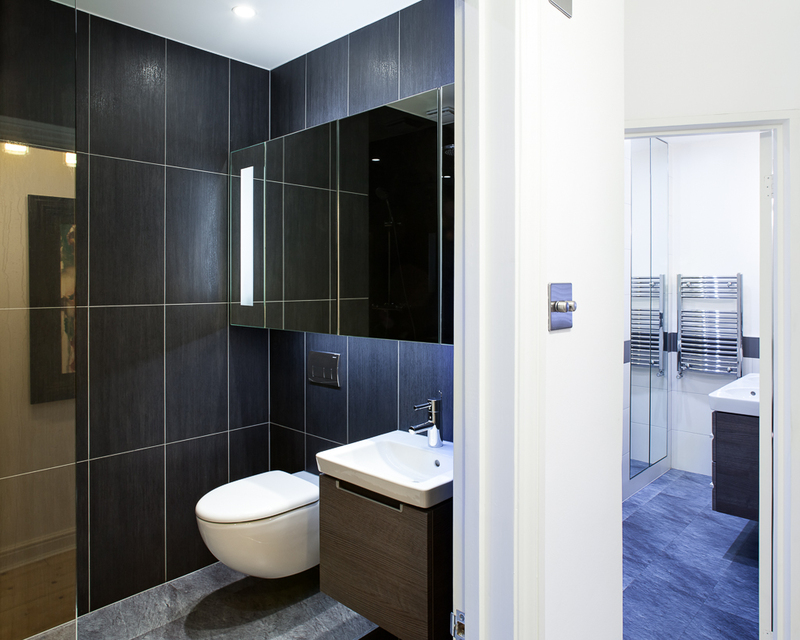 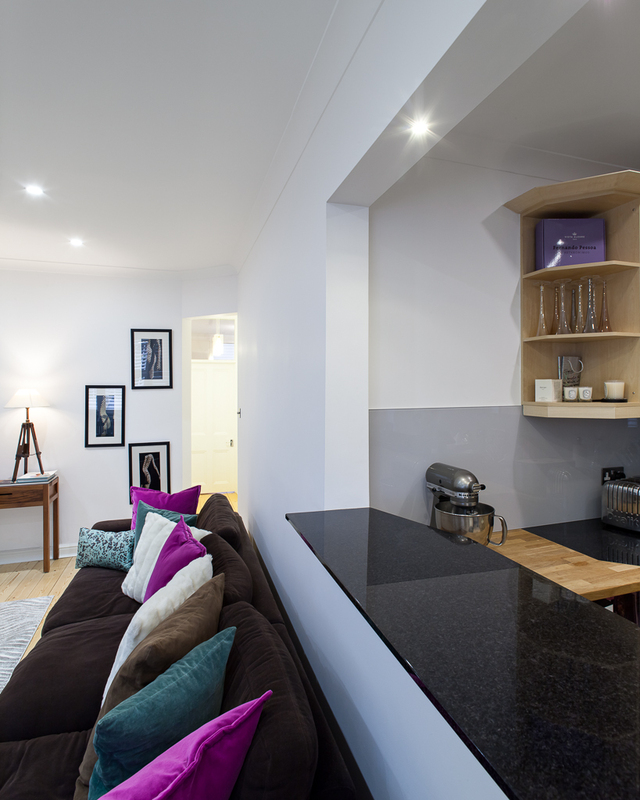 Wall mounted fittings, with integrated storage, maximise the use of space in both rooms. 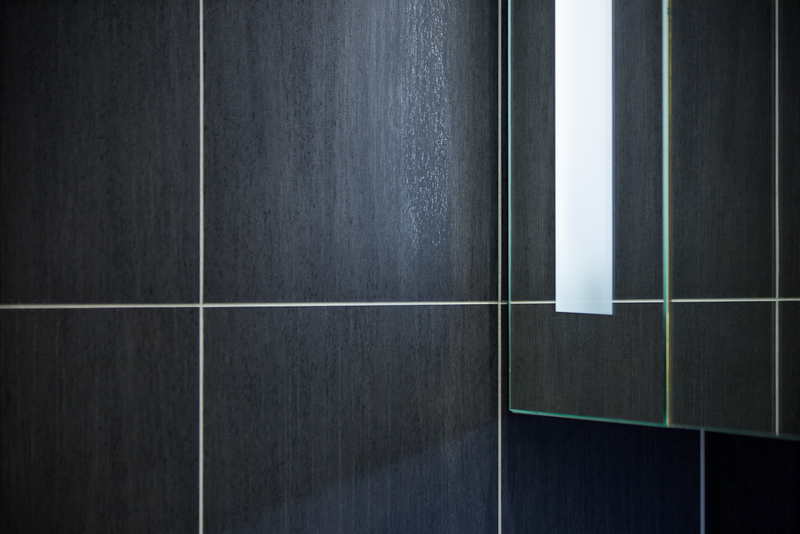 A bespoke, mirror fronted, cabinet in the shower room creates additional perceived depth and conceals LED lighting.